7i-in. Grow Tube Greenhouse Stops Severe Deer Browse In Its Tracks! Deer are without a doubt the number one threat to nearly all wild-land, and today, many urban tree plantings. When you're planting in "deer country" SunFlex is the only hope a young seedling has. White-tailed deer, with an average height of 36-40 inches at the shoulder plus its neck length, can easily browse nearly any unprotected tree below a height of about 4½ ft. tall. 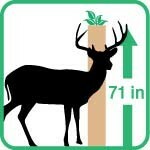 That's why we engineered the SunFlex Bush Shield Grow Tube with a whopping 71 inches of deer browse stopping height. 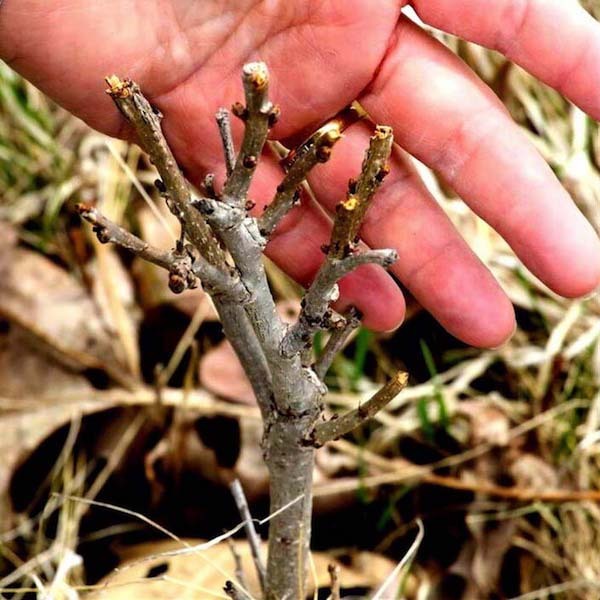 Trying to grow unprotected hardwood seedlings or those in a grow tubes (or tree-shelter or tree tube) below a 4½ ft height is usually futile. Unprotected seedlings stand no chance against hungry mouths - see image on right showing the all-too-familiar fate of an unprotected seedling. Once deer munch the top a tree's natural form is irreparably harmed. The tree usually responds by robbing its root system to replace lost growth in an often futile effort to grow past the deer. And if deer don't get your young seedlings, there's a good chance that the rabbits will. 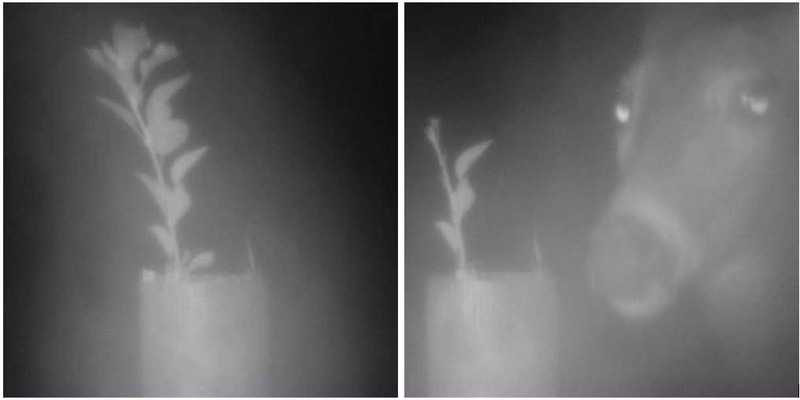 The before and after images below show how easy it is for deer to browse seedlings that emerge from the top of shorter tubes (35-in tube shown below). The lesson here is don't waste money trying to save money on tubes too short for the animal threat in your area. 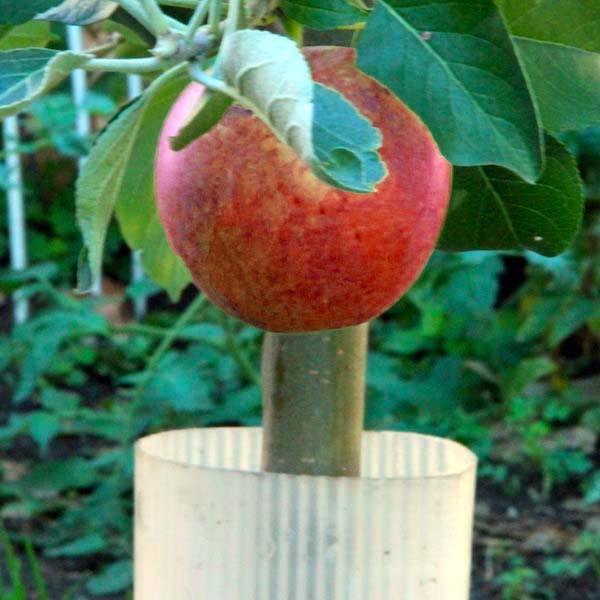 Instead, choose a grow tube tall enough to get the job done right the first time you plant. 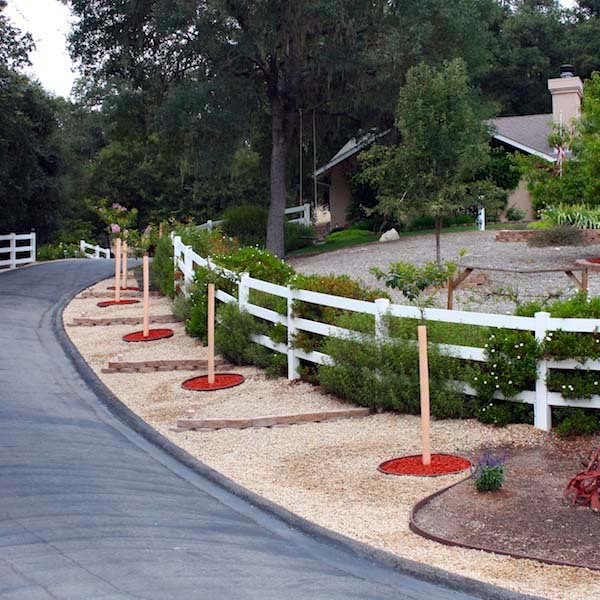 Choose the SunFlex Doe Shield (58 inches tall) or SunFlex Buck Shield (71 inches tall) to get your trees growing safely above the browse-line! 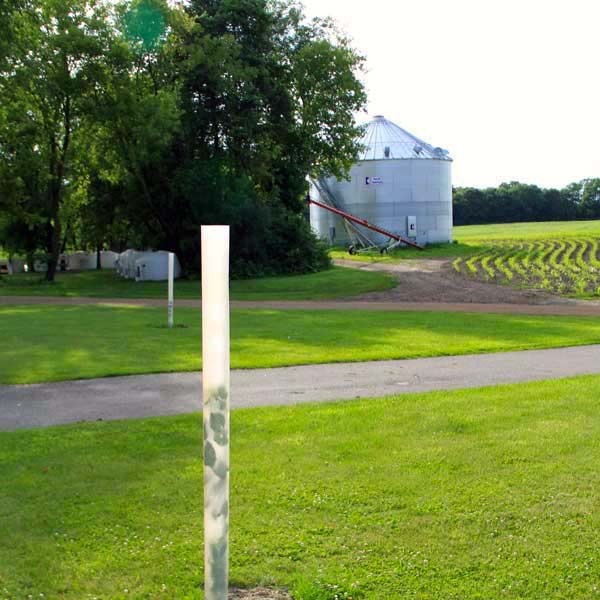 demonstrates need for taller (58-in or 71-in) grow tube shelters in deer country. SunFlex helps your deciduous (broad-leaf) seedlings Survive, Thrive and Succeed! 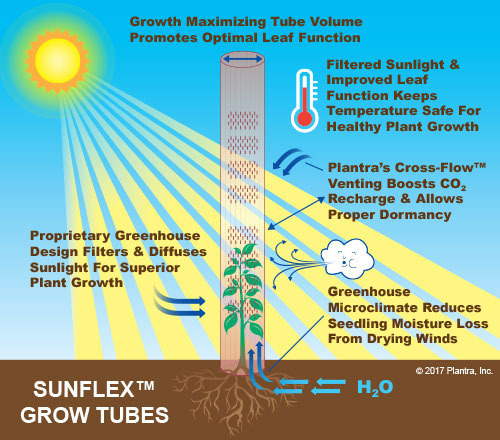 SunFlex Grow Tubes "grow beyond" traditional tree tubes and treeshelters to deliver in the toughest conditions where animals and elements can kill your seedlings before they ever have a chance to get growing. 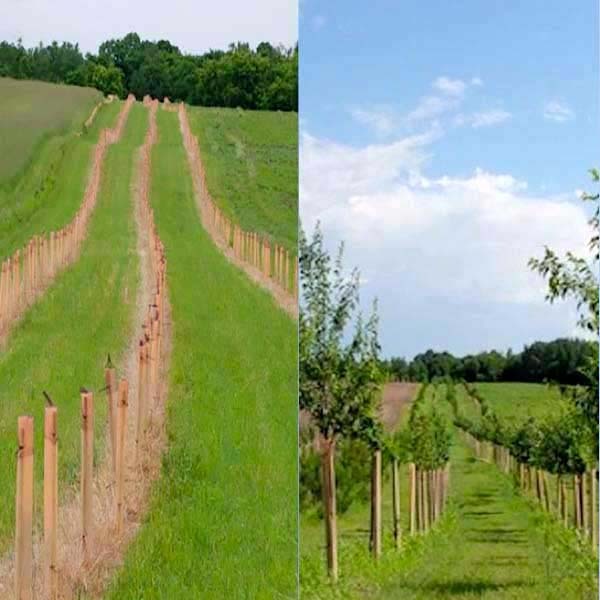 Whether you're planting hardwood seedlings for wildlife habitat, riparian buffers, woody food plots, wind breaks or to make your backyard more wild, SunFlex helps your seedlings survive, thrive and succeed, the first time, every time. Choose a SunFlex Greenhouse Grow Tubes for your next planting and get growing! Note: The only way to grow the best tree is to grow the whole tree and that includes the main stem and roots. 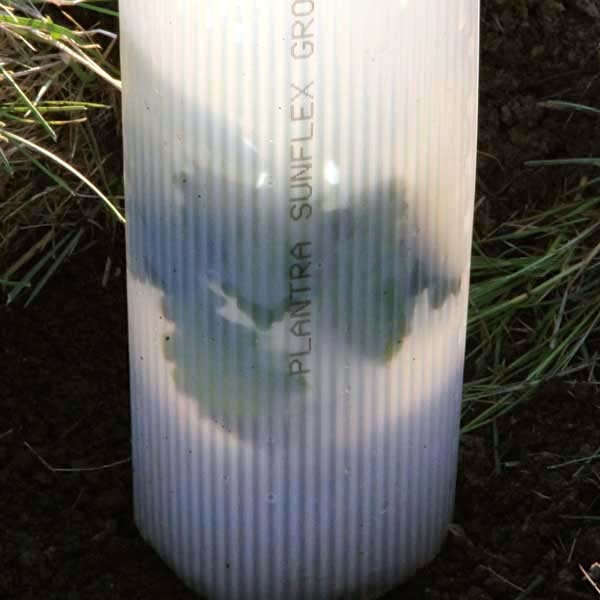 Plantra's Trunk-Builder™ Stake is the only "purpose-built" grow tube support stake engineered with trunk-building flexibility and strength to grow bigger, healthy stems and roots. 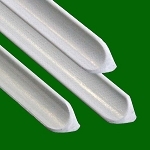 These support stakes are sold as part of the SunFlex Seedling System. CLICK HERE To Buy SunFlex Grow Tubes & trunk-Builder Support Stakes Together And Save! SunFlex is designed for a wide range sunlight conditions which receive a minimum of 6 hours of uninterrupted sunlight per day duringthe growing season. 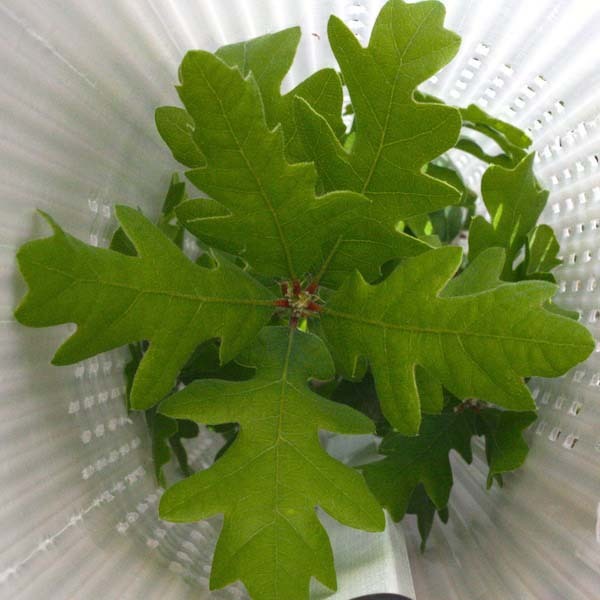 Unlike traditional tree tubes and tree shelters SunFlex Greenhouse Grow Tubes are twin-walled for light diffusion and translucent to growth-optimizing sunlight trees and shrubs need. 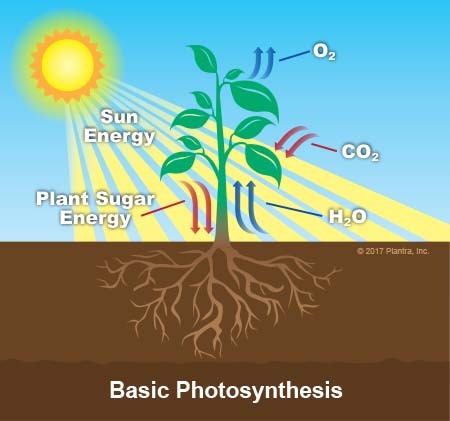 SunFlex is packed with advanced greenhouse technology to stimulate phytochrome to grow the whole plant from roots to shoots necessary to get your new seedlings off and running with the sun. In addition to providing superior greenhouse benefits the entire SunFlex series is engineered with Plantra's Cross-Flow™ venting. Cross-Flow promotes effective air movement to increase CO2 replenishment, reduce excessive moisture buildup and encourages proper dormancy (hardening off) before winter, even in the coldest regions. 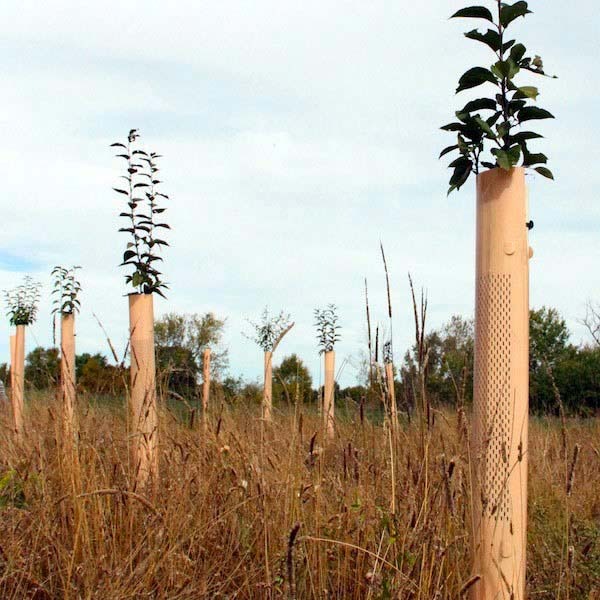 SunFlex Grow Tubes provide a physical barrier to shelter seedlings against chewing and browsing wildlife that can destroy a entire planting season in a few bites. 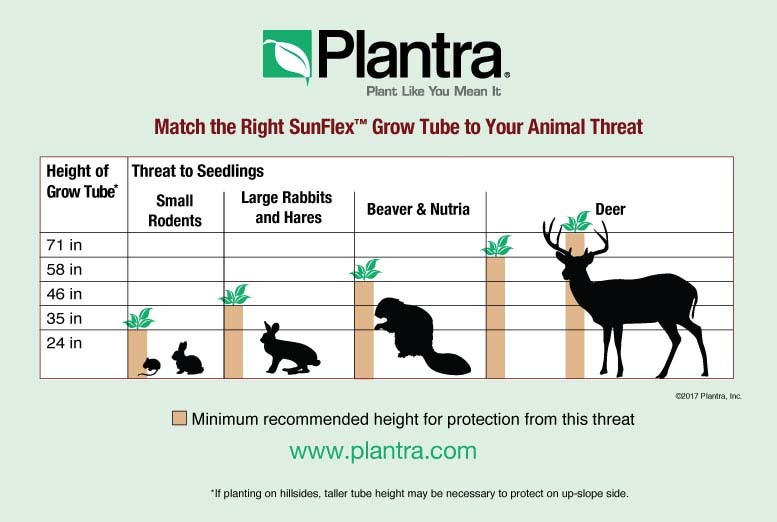 SunFlex Buck Shield greenhouse Grow Tubes provide the most effective browse and trunk protection against damage from small rodents all the way up to large deer. Wind is a seedling killer and while wildlife gets it fair share of the blame for damage to new plantings, wind's invisible force rarely does. Built rugged and sturdy, SunFlex creates a greenhouse micro-climate that blocks wind which can dry out tender leaves. 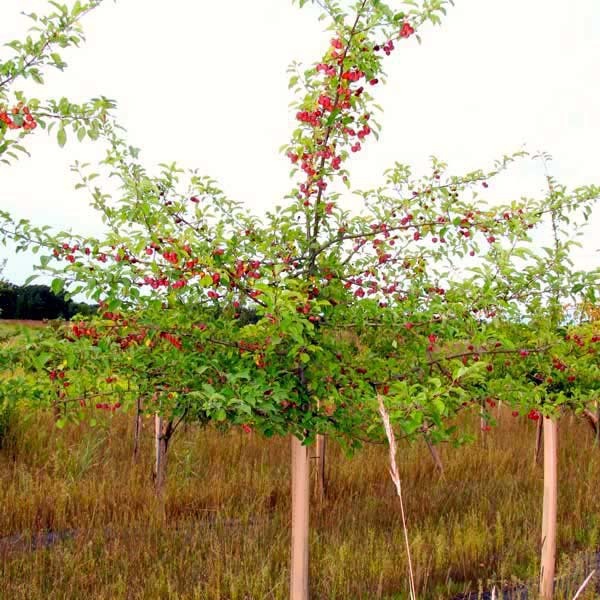 This reduces water stress on the leaves, stems and roots and allows the plant to channel its energy into faster, sustained growth instead of defending itself against desiccating winds. SunFlex helps you control weeds that steal soil nutrients, moisture, and sunlight from young seedlings by making it easy to see exactly where your seedlings are when using mowers and string trimmers. The solid lower section acts as a spray shield for weed sprays making weed control fast and safe (always follow chemical label directions when applying weed sprays). SunFlex ships flat, pops open to a large, leaf expanding 3.9 inch diameter, and installs quickly and easily with super-strong, releasable Plantra Twist-Lock™ double-wire ties (included). 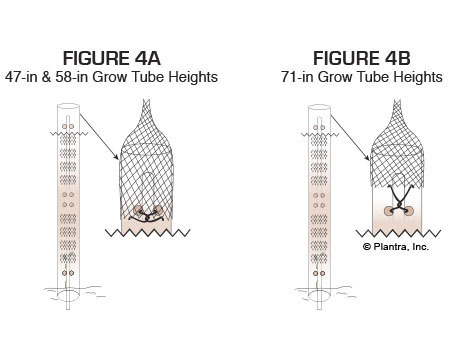 Large tie holes come standard on all Sun Flex Grow Tubes to accommodate the widest range of staking options. The most secure method is the SunFlex Grow Tube System which incorporates our Trunk-Builder fiberglass stake into the strongest stake and tube attachment system available. To purchase SunFlex as part of the SunFlex Grow Tube System CLICK HERE. SunFlex's cutting edge design and unmatched utility is where plant growth, field performance, and ease of use come together to create the most effective seedling establishment system available. 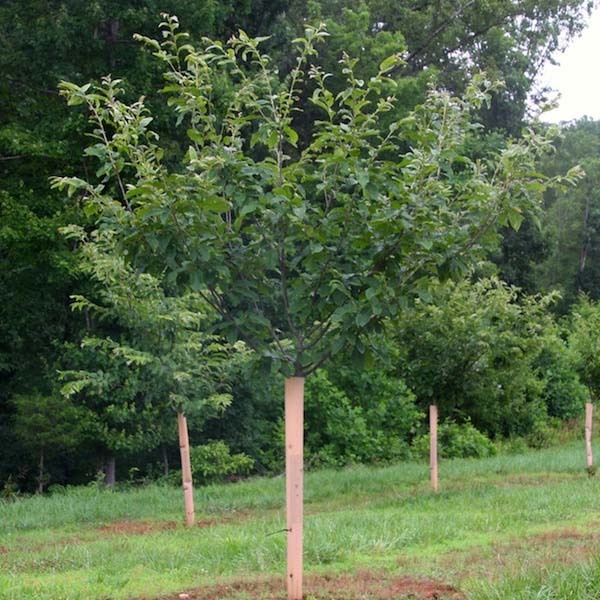 Make SunFlex the choice for your next hardwood tree planting. In the seasons to come you'll be glad you did. 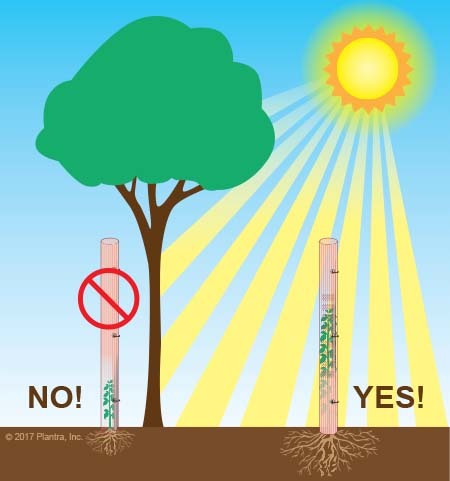 Support stake not included - CLICK HERE to purchase SunFlex Grow Tubes and Trunk-Builder Support Stakes together and save! 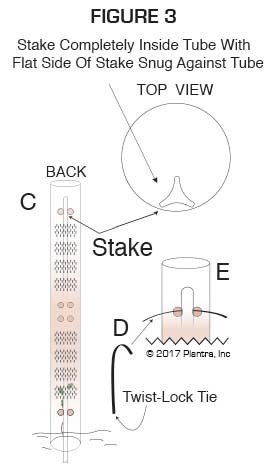 NOTE: This method of installing support stake inside the grow tube is recommended for SunFlex stakes only - stakes not included and sold separately.